It can be rather annoying when a message, FaceTime call or notification awakes you at night, or when your iPad lights up and emits a noise during an important meeting. 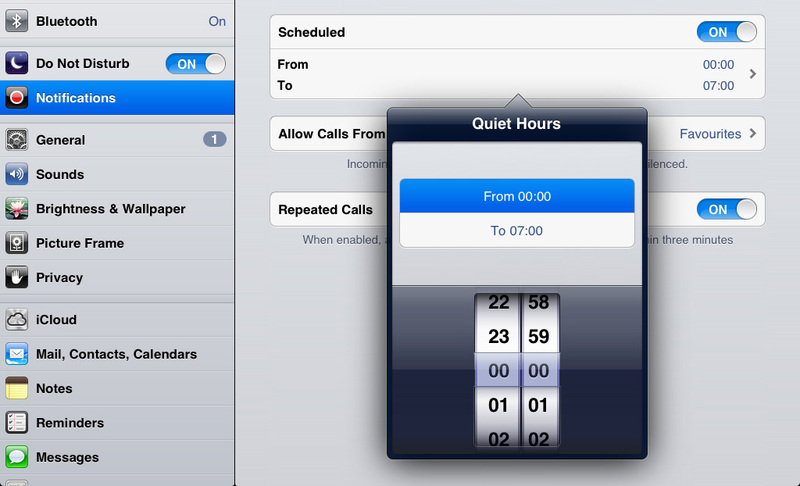 These notifications can usually be overridden by simply muting your iPad or putting it into Airplane mode, but the Do Not Disturb feature is simpler and much more effective. Start by opening the Settings app, then toggle the Do Not Disturb switch near the top of the screen. This will instantly enable Do Not Disturb, preventing any calls, messages or notifications from alerting you. Let’s set a timer, so that Do Not Disturb kicks on at midnight, then finishes at 7AM. Begin by tapping the Notifications button, then tap the Do Not Disturb button at the top of the screen. Toggle the Scheduled switch to On. You’ll see a From and To field appear below. Tap it, then use the timer wheel to enter the start and end times. In this example, it’s set from midnight to 7AM. Once entered, tap the button in the top left corner to confirm.